writer, for a day-long writing workshop on Saturday, February 22, 2014 from 9 am - 4:30 pm at 38 Lake Street in Oak Park, IL. This workshop is excellent for beginners wanting to try their hand at writing or people who have been writing in secret journals for years and want to now begin a memoir for their families. Rather than waiting for the day when everything is perfect and finished, this writing workshop begins one day, one word, one breath at a time. Learn simple but powerful methods to get the ideas out of your head, onto the page and aligned with your heart. Then put it on your "ha," your breath, to make it real in this world. There will be fun writing exercises, tips and tricks including creating a space for writing, writing every day, reading aloud, training your mind to see detail, taking chances with emotion, writing from the heart, cultivating consistency and playing with humor and flourishes. June Tanoue will intersperse meditation and gentle hula movements during the day. Frances Kai-Hwa Wang is a second-generation Chinese American from California who now divides her time between Michigan and the Big Island of Hawai'i. She has worked in philosophy, anthropology, international development, nonprofits, small business start-ups, and ethnic new media. 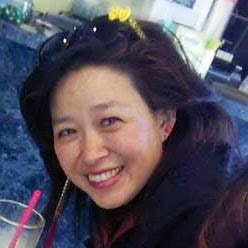 She team-teaches courses on civil rights activism, media and the law in Asian/Pacific Islander American Studies at the University of Michigan and University of Michigan Dearborn. She is a contributor for New America Media, Chicago is the World, Pacific Citizen, InCultureParent.com, and HuffPostLive. She has published two chapbooks of prose poetry, Imaginary Affairs-Postcards from an Imagined Life and Where the Lava Meets the Sea-Asian Pacific American Postcards from Hawai'i. She has been included in several anthologies and art exhibitions, and has a multimedia artwork with Jyoti Omi Chowdhury entitled "Dreams of the Diaspora" in a Smithsonian Asian Pacific American Center, Indian American Heritage Project online and traveling art exhibition. June Kaililani Ryushin Tanoue is a fourth-generation Japanese American from Hawaii who now lives in Chicago, IL. She has an MPH in Nutrition from the University of Hawaii. She is a Kumu Hula (master teacher of Hula) and an ordained Zen priest and Dharma Holder in the White Plum Lineage. She has taught hula for 10 years in Chicago and 7 years in New York City. She founded Halau i Ka Pono - The Hula School of Chicago in 2009. Save 20% on Early Bird Rates before 2/7/14. Join Frances Kai-Hwa Wang in a prose poetry reading on Friday night, February 21st. A masterful storyteller, Frances will bring you straight to the heart of the natural wonders and culture, and colorful characters that captivate and move us all. The dancers of Halau i Ka Pono honor Pele, the Volcano Goddess in chants and dances. Free for workshop participants. Kartika Review and "Grandfather Walking,"